This will be at output Qm and Price Pm. Productive inefficiency. 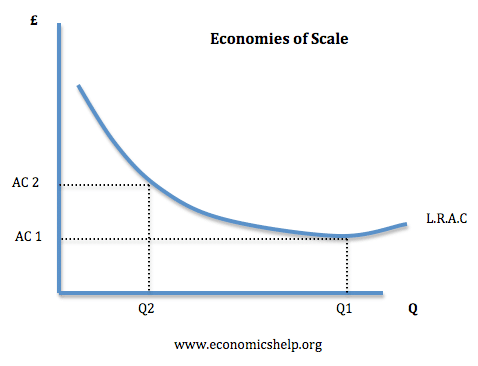 A monopoly is productively inefficient because it is not the lowest point on the AC curve. X – Inefficiency. It is argued that a monopoly has less incentive to cut costs because it doesn’t face competition from other firms. Therefore the AC curve is higher than it should be. Supernormal Profit. 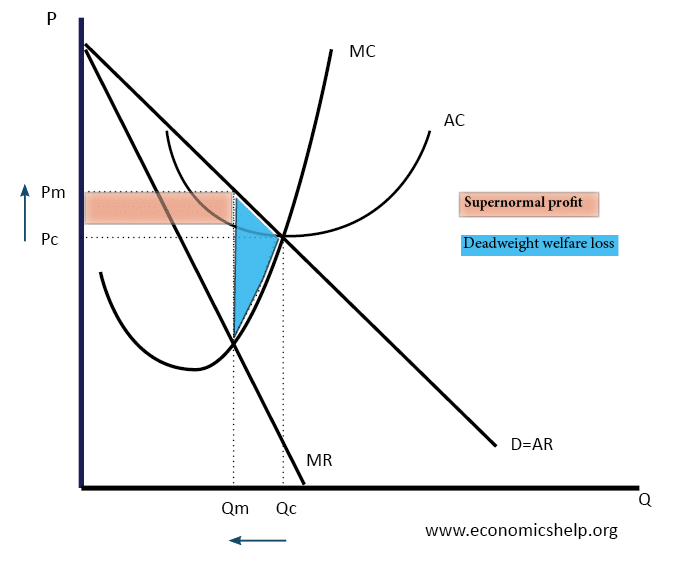 A monopolist makes supernormal profit Qm * (AR – AC ) leading to an unequal distribution of income. Higher prices to suppliers – A monopoly may use its market power and pay lower prices to its suppliers. E.g. Supermarkets have been criticised for paying low prices to farmers. Worse products. Lack of competition may also lead to improved product innovation. Charge higher prices to suppliers. Monopolies may use their supernormal profits and monopsony power to pay lower prices to suppliers. For example, supermarkets squeezing prices paid to farmers. 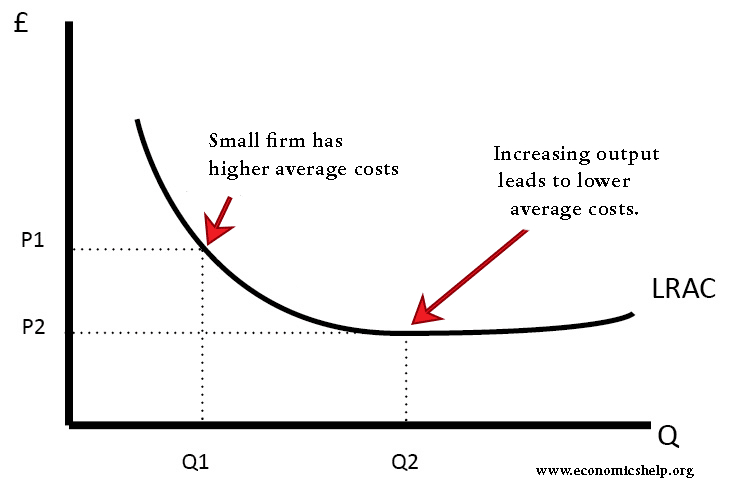 If a firm is in a competitive market and produces at Q2, its average costs will be AC2. 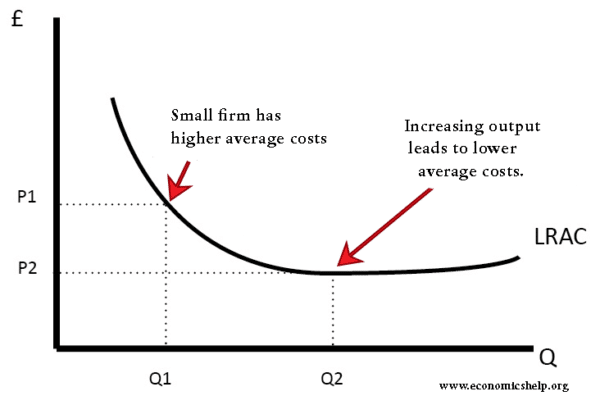 A monopoly can increase output to Q1 and benefit from lower long run average costs (AC1). In industries with high fixed costs, it can be more efficient to have a monopoly than several small firms. The supernormal profit can enable more investment in research and development, leading to better products.